Fifty-four years ago today, the first cat set paw in space. Félicette was launched from a base in the Sahara desert aboard the rocket Véronique AVI – V47. After a 12 minute flight, including five minutes of weightlessness she returned to earth, safe and sound not far from the launchpad. Her history is much less well known than that of Laïka who became the first dog in space in 1957. Félicette was chosen from a cohort of around a dozen astrocats after a rigorous session of training and tests including a spin in a centrifuge. Just a few days after the launch an attempt to repeat the experiment ended in tragedy when the lone feline occupant of another rocket died when the craft crashed to earth shortly after takeoff. No cat has attempted the journey outside the Earth’s atmosphere since. 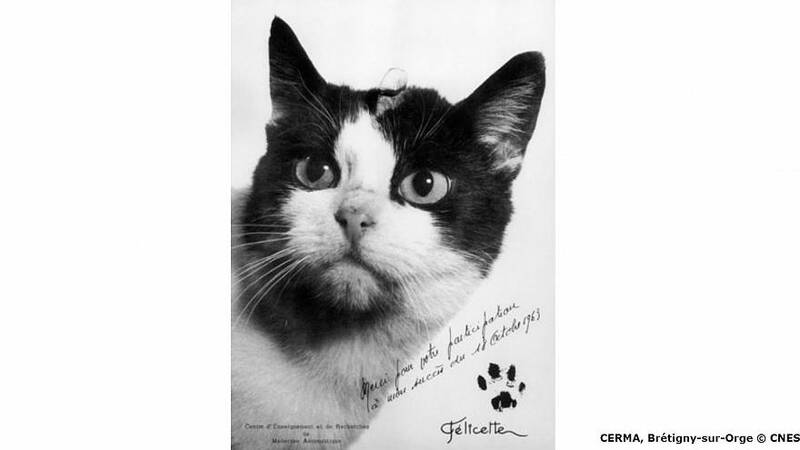 Nevertheless Félicette was not in fact the first French animal in space. That honour belongs to Hector, a “white rat” whose mission took place on Feb 22, 1961. Aside: Check out Paddy Power Free bet on next Animal in space.